To no surprise Blockchain, one of the largest and most impactful companies, has raised a lot of support and money in crowdfunding, raising a whopping $30.5 million in late 2014. Acquiring many large investors such as Sir Richard Branson, Mosaic Ventures and Prudence Holdings in addition to many individual investors. However the stars of the show were without a doubt Lightspeed Ventures and Wicklow Capital which ultimately led to Lightspeed Venture partner Jeremy Liew taking a seat on Blockchains board. The funding was used very effectively providing Blockchain INC the necessary funds needed to expand and ultimately this has paid off as they are one of, if not the, largest companies to provide infrastructure for the Bitcoin Network, having over 1,000,000 registered wallets and over 3 million unique visitors in November 2013. In January the block explorer service reached over 1 million active user wallets. Blockchain has become the unanimous brand associated with Bitcoin and has become one of the most pivotal services introducing people to cryptocurrencies, becoming one of the most essential and one of the largest developments in the history of Bitcoin. 21 Inc is just one of the unique startups that has really taken on the spirit of Bitcoin having raised $116 million in more than 1 fundraising round.21 Inc shook the Bitcoin to its core as it collected more than any other companies on this list and put Blockchains funding record to shame. 21 Inc is a premier Bitcoin mining hardware seller geared towards making advances into cheaper and more efficient ways to mine Bitcoin. Bitcoin miners have to keep the cost of electricity, the cryptocurrency they choose to mine and the equipment they buy to continue making profit and eventually hit ROI. The name 21 Inc. originates from the twenty-one million Bitcoins that will be produced in total by the year 2140, once all the Bitcoin blocks have been successfully “mined”. 21 Inc has created and developed the ASIC technology that miners need and is investing into further research to yield larger profits whilst allowing hardware to consume less electricity while mining. In addition, the $116 million they raised was over multiple rounds which are said to be dating back as far as 2013.This generally works as a better approach rather than just taking in all the venture capital at once as it allows the company to develop in multiple stages, allowing it to achieve multiple milestones and aids investor confidence. 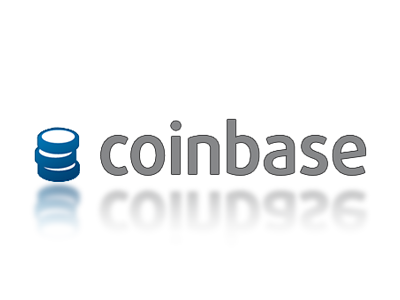 Coinbase is one of the most popular and prominent Bitcoin wallets in the industry. Being one of the most popular companies to allow users to purchase Bitcoin, it has a user friendly website designed with the sole purpose of providing information to those new to cryptocurrencies, particularly Bitcoin, and providing the best customer service to those looking to purchase Bitcoins. This has become the main reason why it raised $75 million in its fundraising. This was helped thoroughly by social media as much of the Bitcoin community was notified via it. This has pushed the value of the company to an estimated $400 million. Several different banks, NTT DoCoMo, Japan’s largest mobile phone operator, and former Citigroup CEO Vikram Pandit also made personal investments. Coinbase has raised $105 million since its startup in 2012 in VC funding. To conclude, Bitcoin crowdfunding is one of the most powerful and widespread ways that individual companies can raise money to improve their services and the companies on this list have explored the sheer popularity and scale crowdfunding can be extrapolated to.The unity and spirit of Bitcoin has provided a lot of help to the companies that have used it to improve and in turn improve other people’s lives, such as those who are new to the cryptocurrency.